Global Authority on the Collaborative Economy; Author of "What's Mine Is Yours", Visiting Lecturer, Saïd Business School, Oxford University. Rachel Botsman is the global authority on the power of collaboration and sharing to change the way we live, work, bank and consume. She is regarded as one of the most insightful and creative thinkers on this socioeconomic revolution and has been compared with Malcolm Gladwell for identifying an idea and catapulting it into popular consciousness. ​Co-author of What’s Mine is Yours: How Collaborative Consumption is Changing the Way We Live (Harper Collins, 2010), author of Who Can You Trust (Forthcoming, Penguin 2017) and a visiting lecturer at Saïd Business School, Botsman’s TED talks on how technology changes collaboration and trust have been watched by more than 3 million people. Botsman was winner of the 2015 Thinkers50 Breakthrough Idea Award. Rachel’s theory of “collaborative consumption” was defined in her critically acclaimed book about the sharing economy, What’s Mine is Yours: How Collaborative Consumption is Changing the Way We Live (Harper Collins, 2010). The concept was hailed by TIME Magazine as one of the “10 Ideas that Will Change the World.” Rachel’s TED talks on the topic have been viewed more than two million times and in 2015, she designed the world’s first M.B.A. course on the collaborative economy, which she taught at Oxford University’s Saïd School of Business. In her work with universities, entrepreneurs, corporations, and governments Rachel examines the growth and challenges of start-ups such as Airbnb, TaskRabbit and Uber, with a focus on technology’s impact on trust and relationships. Combining deep observational and historical knowledge with strategic intuition and foresight, Rachel discerns threads and patterns that provide context for how and why the world is changing and the broader implications of this new economy. 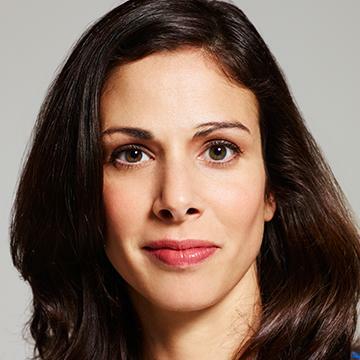 A contributing editor at Wired Magazine, Rachel is a regular writer and commentator in leading international publications including The Wall Street Journal, Harvard Business Review, The Economist, The New York Times, and Financial Times. Her monthly column, “Industry Hackers”, in The Australian Financial Review explores the mindset of entrepreneurs who see the world differently. Rachel was named by Fast Company as one of the ‘Most Creative People in Business,’ and a ‘Young Global Leader’ by the World Economic Forum. She is a highly compelling and engaging speaker and was endorsed by Monocle as one of the world’s top 20 speakers to keynote your conference. Rachel earned her BFA (Honours) at the University of Oxford and undertook postgraduate studies at Harvard University. Her work takes her to every continent, except (so far) Antarctica. Collaborative business models are shaping a new economy. Rachel makes sense of the impacts this big shift is creating, how to spot tomorrow’s big disruptors and identifies ways to get on the right side of the ‘sharing’ transformation. The way people think about work and the notion of a ‘good job’ is going through a sea change. Rachel explains the benefits – and the downsides – to a growing independent labor force exploring the fundamental changes in how people can use their time, skills and talents. Digital technologies are changing how and whom we trust in ways that are disrupting many industries. Rachel explains why the currency of the new economy is trust and how we need to think differently about client experiences to build meaningful relationships and loyalty. We have digitised books, pictures, and music. Next is digitising identity and reputation. In this speech, Rachel explains why personal reputation is being transformed in our online world and how it is going to become a powerful currency that helps us decide who we can trust and want to trade with. Using cutting-edge examples from banking to recruiting to social commerce she explores the upside of this new world, as well as the thorny issues of privacy, identity and personal data management. This is a provocative speech that charts why who we know and how they regard you will ultimately determine our worth and change the way business is done in our networked world. A ground-breaking book, What’s Mine is Yours defines the theory of "collaborative consumption," and explains how it is transforming the traditional landscape of business and society. It charts the rise of leading companies such as Airbnb, LendingClub and RelayRides that uses digital technologies to enable the sharing and exchange of all kinds of assets from spaces to skills to 'stuff' in ways that represent a new era of trust. Rachel Botsman was the standout favourite for all our delegates. ​We had a wonderful event with Rachel. She was pretty amazing — an accomplished, intelligent and humble speaker who was a delight to work with. Her subject matter was highly relevant and members loved it — rating it 9.7.